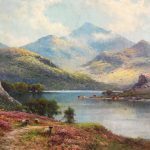 Alfred Fontville de Breanski was a landscape painter and the son of Alfred de Breanski Senior, also a painter of landscapes. 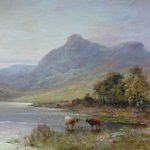 Painted highland scenes in a style similar to that of his fathers. 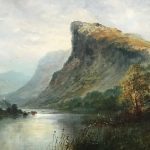 Often painting mountainous landscapes of Scotland and Wales. 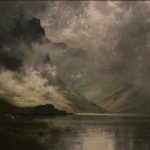 He exhibited several works at the Royal Academy, Royal Society of British Artists and at the Suffolk Street, Liverpool Gallery.